Presentations to show what we have learnt. 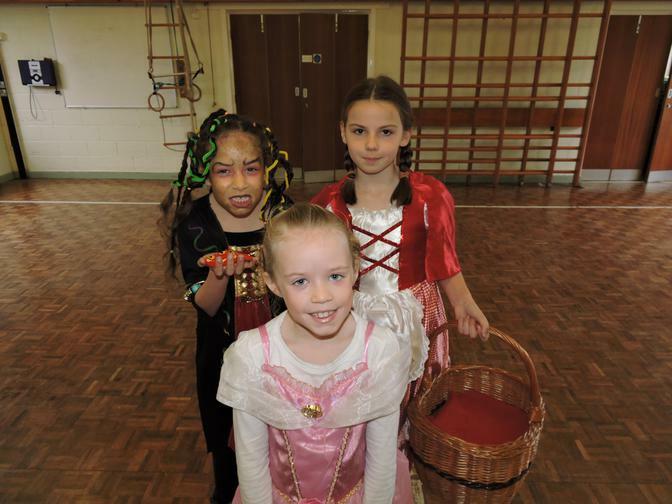 A few photographs to show what year 3 have been doing. Our museum trip to Liverpool. Welcome back Year 3, I hope you have all had a lovely Easter break. Year 3 will be continuing to read the Iron Man this half term and I am hoping to make Iron Man sculptures using boxes. If you have any boxes big or small, could you please keep them and bring them in to school. I'm sure there might be a few Easter egg boxes left! Thank you to Kenzie's mum who has already donated! Due to our Easter production, we have been unable to cover as much topic work as I would have liked! Therefore homework from now until after the holidays will be to research and find out as much as they can about 'Rivers'. We have already learnt about the water cycle and where/how rivers form. But they can research anything they like! Anything that interests them ie..'Rivers of the world', The Amazon or River Nile? How they support life around them? Their importance? Rivers in England? Europe? The current problem regarding flooding? How and why it happens? Whatever they like! How they present their findings is again the same as our last project. They can make a large poster, a PowerPoint, a model, a written piece in a homework journal or writing book? If your child likes art, be creative and draw or make! If your child likes writing, produce a written piece with diagrams and text boxes etc.. If your child likes using ICT create a PowerPoint or use other programmes to showcase their new learning! Mathletics is ongoing, with new tasks added every Friday and Spellings given out every Monday. Everyday the children read in class as part of guided read sessions and reading records checked. I will now sign their records when they have read to me, and you also sign if they read a page of a text that they have read at home which is not their reading book eg. a magazine, a book they have an interest in, a comic. I want them to enjoy reading and for it not to be seen as a chore, so encouraging them to read for enjoyment will help to develop a positive attitude towards reading. Over the holidays 'Grammar' homework will also be given on inverted commas and similes. Hope you enjoy the performance! 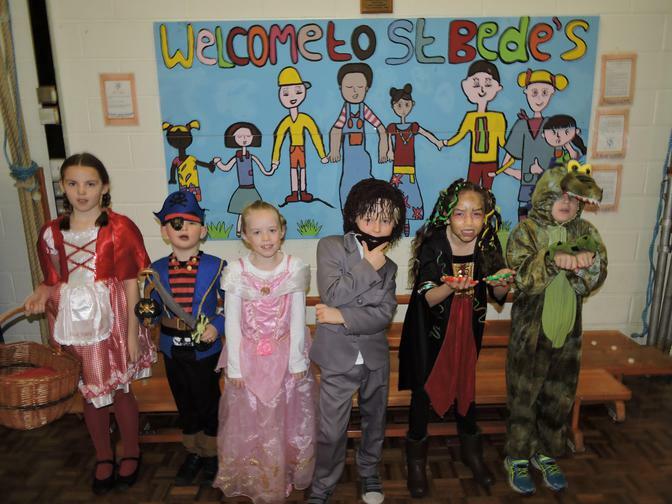 Year 3 had a really entertaining day dressed up as an assortment of famous book characters and taking part in some exciting activities! 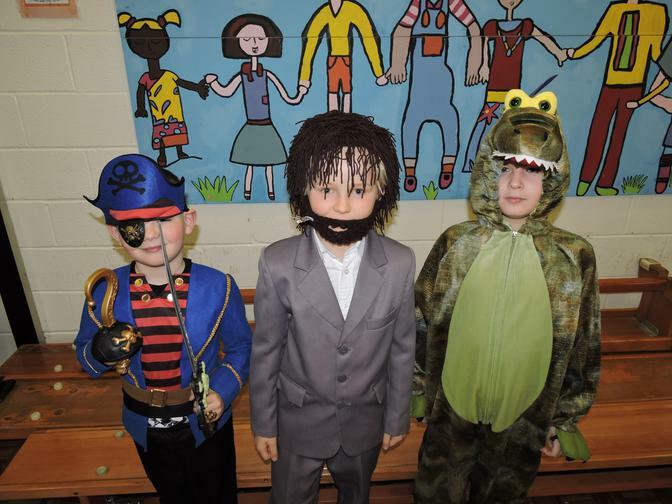 Here are some of the wonderful costumes from our class.